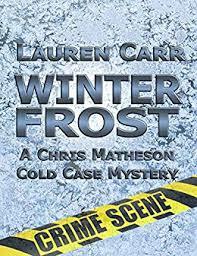 Synopsis (from Amazon): Luke Carney has no idea what possessed him to move back to Shelter Springs, Colorado, to set up his veterinarian practice. His parents had long since left, the small farming community is on the brink of extinction, and only one close friend from his childhood remains--Taycee Emerson, his best friend's little sister, who isn't so little anymore. Then there's the matter of Shelter's Bachelorette, an online reality dating show created to raise some much needed funds for the town. One (or more) Sentence Summary: Struggling town meets reality TV show, the Bachelorette/Bachelor. I thought the concept of saving a town of farmers was really cute. Using the TV reality show as the basis for the fundraiser was an unusual twist to a story. It worked for the story! Favorite Character(s): I don't think I had a favorite one, because I liked them all. Setting: Struggling, small farm town near Denver. Fast read/slow read: I won the audible version and listened it to it non-stop. I absolutely love being able to listen to my TBR list! I purchase the e-book version of The Reluctant Bachelorette, October 5, 2012 (per my amazon account) and have not found time to read it. I was so happy to be able to listen to it. The voices and quality were top notch! Cover: I think it is cute and so happy the flower is not a rose!!! What Others Are Saying: "I am in love with this book! 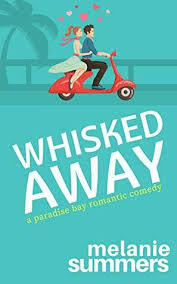 It is witty, romantic fun that left me with a smile and a sigh. Such a perfect way to spend the day." --Aimee, Getting Your Read On book review blog. I LOVED THIS ONE!! Rachael's best yet! 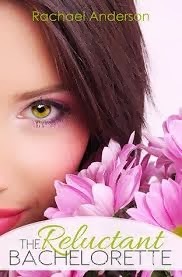 Clean romance just how I love it! --Kathy, I Am A Reader, Not A Writer book review blog. 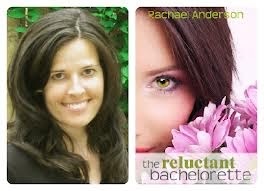 Would I Read Other Books by the Author: I would love to read another book by Rachael Anderson! You can read more about her and her books online at rachaelreneeanderson.com.